A.J. and I also run a prestigious men’s suit store and have made hundreds of suits for customers around the world. 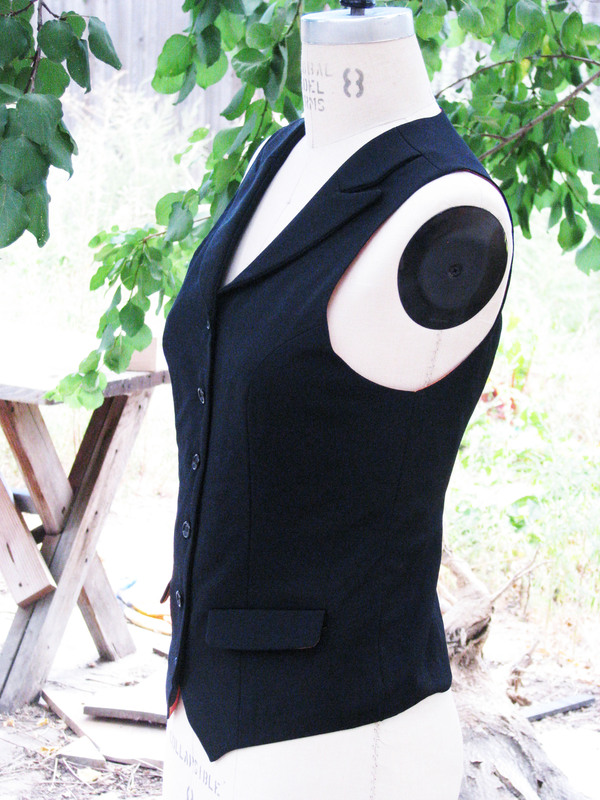 Our suits are famous for being made from the best fabrics, and cut to fit perfectly. But more than this, we are known for being able to create pieces in any style. Here for a retro wedding, there for a rock star or a red carpet walk. Steampunk, 1930’s seersucker, we can do it all. But if it is hard to get a great suit when you are a guy, it is twice as hard as a woman. The stores are filled with ugly business suits made from synthetic fabrics that aren’t nearly as nice as the exclusive wools and silks that men’s suits are often made from. 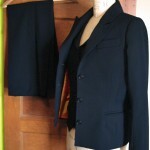 Moreover, rare is the women’s suit that is truly tailored with the type of inner construction that men’s suits use. It may look like a suit, but does it really hang like a suit? 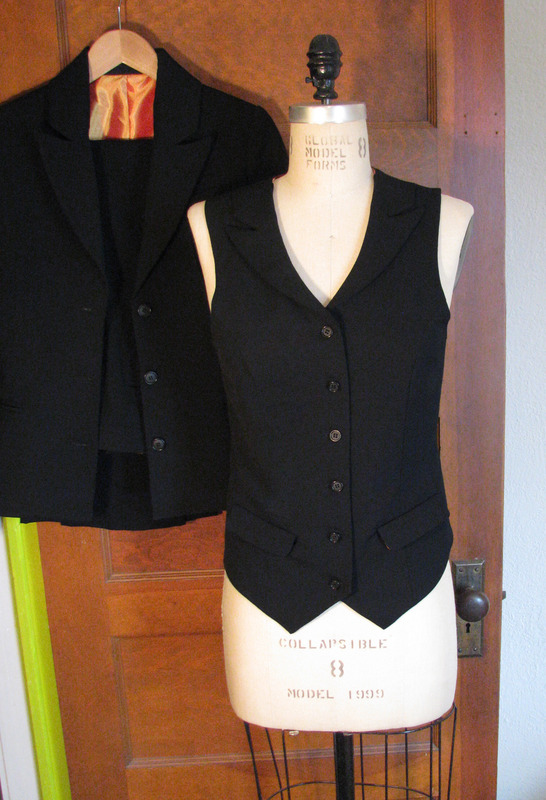 Over the past year, we have begun making women’s suits also. 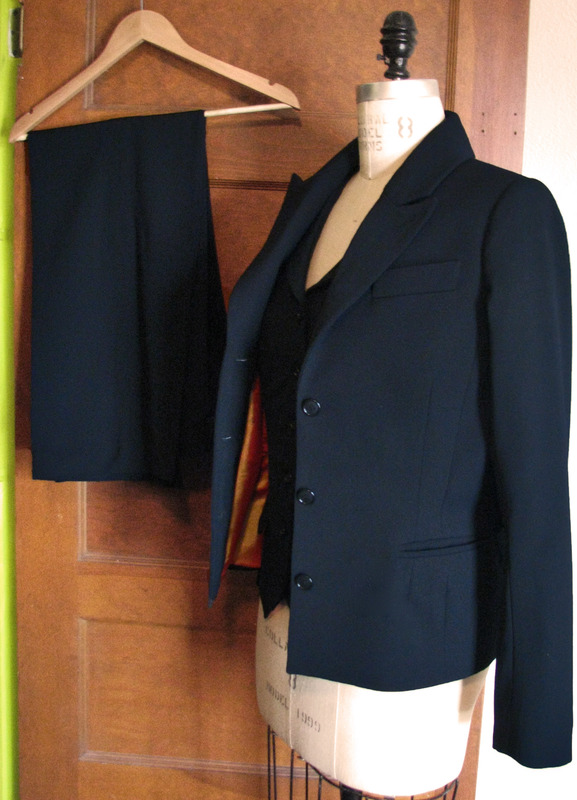 We start with classic details, striking lapels, fine fabrics from famous mills, and shape them to fit a woman’s body, creating a suit that looks and feels like a sturdy and timeless piece. Here are two suits that we recently made. 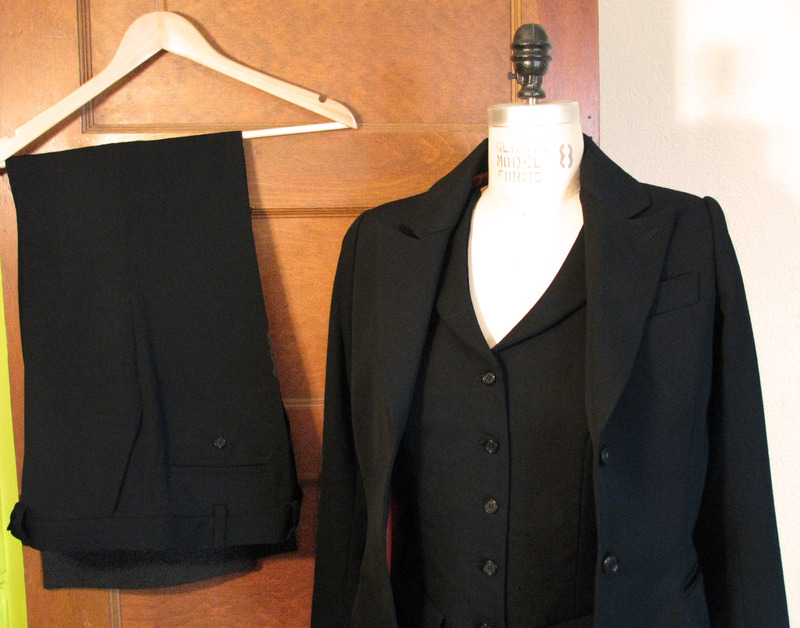 The black suit is cut from wool gabardine with striking peak lapels on the jacket and vest. The charcoal suit is made from an Italian wool/cashmere flannel from Zegna mills. 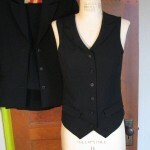 Just contact us and we will get started designing a suit for you. First we will send sketches based on what you tell us about you and your style, then fabrics, and finally a tape measure and a measurement sheet so that you can give us your measurements. 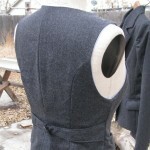 The next stage is the “muslin fitting” stage. 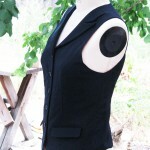 This is something unique that we offer that guarantees a perfect fit and look no matter what your body type is. 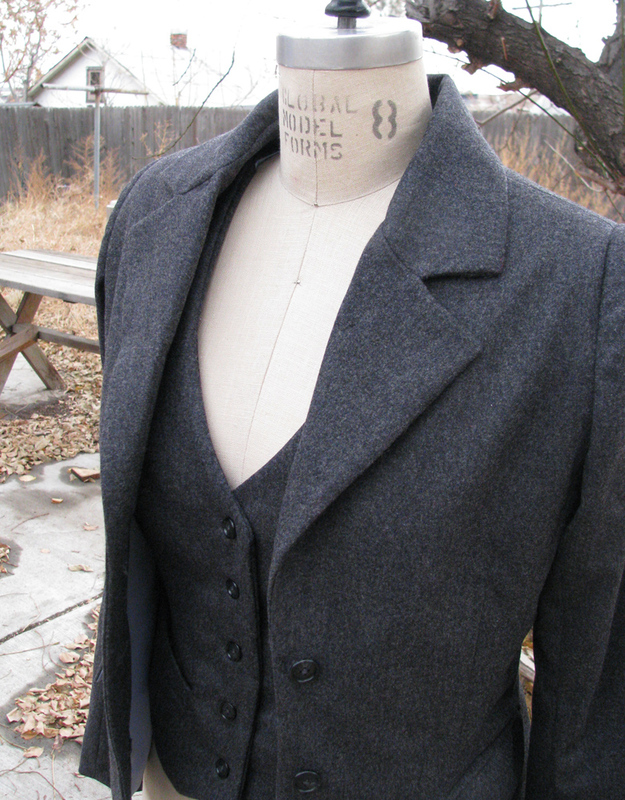 We craft a “rough draft” of the suit from cotton muslin to send to you to try on and provide photos. Then based on these photos, we alter the custom paper pattern exactly to fit you. 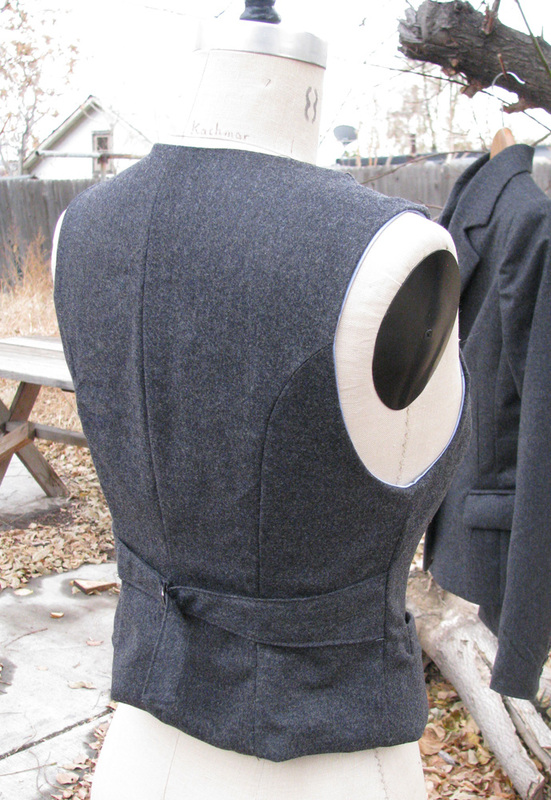 This process guarantees that we can make a suit that fits better than anything in the stores and we can do it whether you are local or long distance. Three pieces suits are $1325 including muslins. 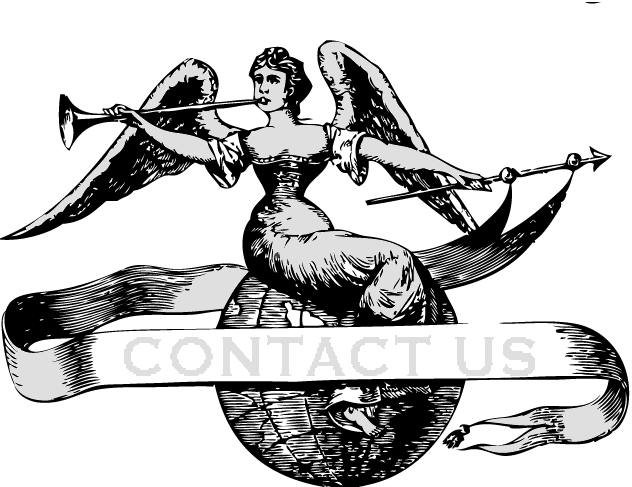 We are a Denver, Colorado based full service couture studio and make dresses and suits for customers locally and around the world.